Born on November 14, Femi D ‘Dauda’ Amele, real name; Adefemi Olubunmi D. Amele is a multi-award winning broadcaster, development and multimedia journalist. He is a radio host, producer of web series, writer and political commentator. Femi D is a member of the Nigerian Association of Science Journalist (NASJ). Femi D is a senior broadcaster who combines the duty of a gate keeper for all broadcast issues which include programmes development, news moderation and journalistic balance, techniques and training of broadcasters. At the tender age of 14, Femi D developed an interest in broadcasting, describing it as the most intelligent career ever. He began his career as a talk show with Unizik FM, Awka, Anambra state in 2010. Then, he was a backup show host for the programme called International Affairs which airs every Friday. The show itself focuses on the implications of diplomatic decisions of governments around the world. In 2010, Femi D won a UK grant support to produce a short documentary on Climate Change and effects on Lagos metropolis in 2010 and the same video was nominated for Climate Change TV Award in 2010. In 2011, Femi D joined the now defunct 234Next newspaper as a multimedia content producer collating and producing daily news across Nigeria. This he did for less than a year till he joined Cool 96.9 FM as an On-Air Personality covering sports and current affairs discussions. His writings have appeared in several publications including Next Newspaper, Triumph Newspaper, Gemini News Project, National Review, New Science Journalism and in national dailies such as Vanguard Newspaper. Femi D is a fan of documenting issues in education, science, child development and making commentary on issues that relate to Sports and International News. Femi D produced an investigative report on Human Rights Violation in Owerri following the death of a young boy, Somtochukwu in an extensive report titled ‘#OwerriHumanRights : Somtochukwu died, like the king of a fallen market’. After his stint with Unizik FM in 2010, Femi D joined Cool 96.9 FM in 2011 as an OAP. At Cool FM, he was hosting the sport shows and rose in ranks to the position of the Head of Quality Assurance-Control. He also worked as the Deputy Head of Programmes evaluating broadcast performance. @FemiDlive joined @CoolFMNigeria in 2011 as an OAP. At Cool FM, he was hosting the sport shows and rose in ranks to the position of the Head of Quality Assurance-Control. Femi D joined Nigeria Info FM Abuja, a news, talk and sports station in June 2014 as an On Air Personality. He hosted a current affairs talk show on issues of national interest including politics and news breaking interviews titled Let’s Talk with Femi D. The show is a 5 hours weekday talk show from 8pm – 1am. He also covers live football games during his weekend broadcast. Femi D has served in the management team of 101.9 Jay FM as News/Programme Director for the regional broadcast station in Plateau State. He is the Head of Station of Amplified Radio, an Abuja-based online global talk and music station. In June 2014, @FemiDlive joined @NigeriaInfoAbj where he hosted a current affairs talk show on issues of national interest including politics and interviews titled Let’s Talk with Femi D.
Femi D broadcast technique has been described as ‘unscripted, unvarnished, thought provoking and decisive’ as with Rush Limbaugh. 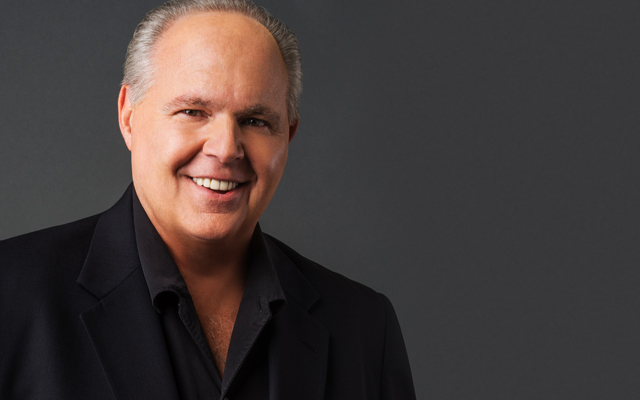 He draws a compelling audience in with every broadcast as the King of Talk Radio. His frequent subjects of discussion include national politics, national policy development, macro-economy, elections, national security, governance and international affairs. He is credited with thought leadership for citizen overview on politics, governance and policy development. His radio shows are a mix of political and social commentary from a progressive and analytical point of view. He is described as a broadcaster with ‘cultured intelligence’ and ability to extract difficult answers from guests in a respected fashionable energy of Stephen Sackur of BBC HardTalk. Femi D runs the web production – FemiDlive which is available for download on Stitcher, iTunes Store, Lofty Radio, Google Play, Spotify, Anchor, Radio Public, Pockets Cast, Amplified Radio and more. Femi D s the conveyor of the speaking event, The Statesman Idea with FemiDlive, an event ‘on action inspired thinking for young leaders’ to create enlightenment and commitment towards goal achievement for a thinking populace. He is an advisory board member for Africa’s first mobile library – iRead Nigeria Project. As a film-maker, he has produced and directed several short films including Anything For Us (2018), a story of how public officials solicit for bribe from citizens. The film is part of the #BounceCorruption project of YIAGA Africa and supported by MacArthur Foundation a citizen participation campaign to promote anti-corruption in Nigeria. @FemiDlive has produced and directed several short films including Anything For Us (2018), a story of how public officials solicit for bribe from citizens.The film is part of the #BounceCorruption project of @YIAGA. Femi D produced and directed a 30 minutes video documentary on the platform of Amplified Media titled Facing Vote Buying in Elections as part of preparation for the 2019 Election. The documentary was shot in Osogbo, Osun State in August 2018. He also co-produced a documentary drug abuse titled, High and Dry. In 2019, he served as co-host for Ready to Run Radio show, a show sponsored by YIAGA Africa and European Union for young people in campaigning for electoral positions in the 2019 elections. He is also a remarkable Voice Over artiste for advertising clients including INEC, YIAGA Africa, Center for Democratic Development. He is also an activist and social media promoter for #NotTooYoungToRun; a 2016 campaign that advocated for a bill to include young people in the eligibility criteria to run for elective offices in Nigeria. As a digital media strategist and business consultant, he planned the implementation of Chief Africa. He is also providing business advisory/content support for Mbele, a social innovation enterprise using technology to foster educational learning for children in Africa. Femi D moderated the 2015 Emerging Leaders Conference held in Nairobi, Kenya. He has also hosted hundreds of interviews with notable people including Prof. Jerry Gana, the Chairman of the Independent National Electoral Commission, Prof. Mahmood Yakubu, Former Governor of Plateau State, Sen. Jonah Jang, UN Ambassador John Fashanu, President of the European Centre for Electoral Support, Ms. Monica Frassoni, Fmr. National Publicity Secretary of the APC, Bolaji Abdullahi, Lai Mohammed, Amb. Bisi Kayode Fayemi of the UN, Senator Foster Ogola, Sam Ikoku, Tonye Cole, Omotola Jalade Ekeinde, Joke Sliva, 2Baba, Audu Maikori, Innocent Chukwuma, Shawn Flatt, Linus Okorie, Brymo among others. He moderated the 2018 National Finals of Public Integrity Debate on Corruption for Higher Institutions and African Youths Advancement and Support Initiative (AFRIYASI) Symposium for teenagers on Career development. He is the Executive Media Officer of GAlpha Media, a digital media company that produces web series, digital publishing and broadcast contents. Femi D can be reached on Facebook, Twitter, Instagram and LinkedIn.